A highly charged political debate between a student and his teacher is garnering a lot of attention. The video captured 10 minutes of the confrontation, though the student said the debate lasted longer. 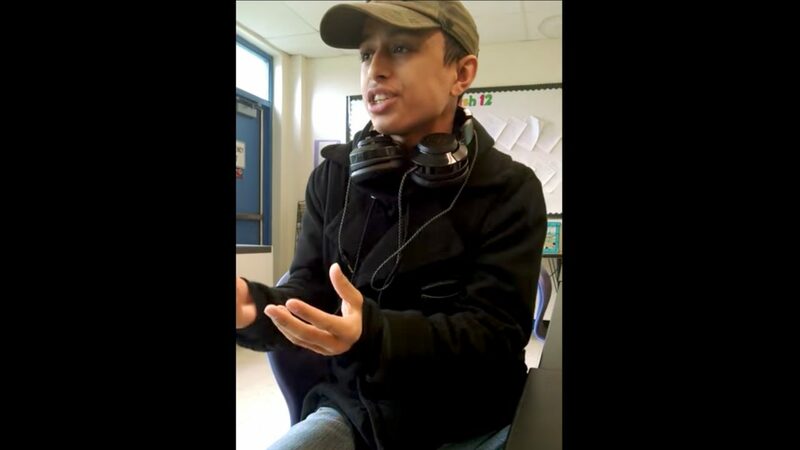 The video begins as the Latino student and his teacher debate about police brutality in America. The student cites facts — that black-on-black crime is more prominent and police shoot more white people — but the teacher simply dismisses the argument by criticizing him. “You’re clearly a radical, a conservative,” the teacher says. As the debate goes on, the student says he obtains his statistics from the FBI, which the teacher said is “seeded in white supremacy.” She later tells the non-white student that he is a byproduct of white supremacy. For several minutes, the two argue about the definition of terrorism. The student maintains that terrorism is using violence in the pursuit of political goals, while the teacher said the “terrorism” label in America is essentially racist. That’s when the student read the definition of “terrorism” from the Merriam-Webster dictionary, proving him correct. However, the teacher denied that the dictionary was correct and said that she “bets” that she is smarter than it. At the end of the confrontation, the teacher told the student that his points were wrong because he was using words incorrectly and didn’t know their definition. Remember, the teacher denied the textbook definition of the word “terrorism. What did the student say? The student, who wished to remain anonymous, told TheBlaze the confrontation took place in his 12th grade creative writing class. He attends high school in the Hudson Valley area. While he said he disagrees with his teacher politically, the student emphasized that he still respects her because she is an “authority figure” at his school. It finally shifted to where she said how when its a Muslim attack, its labelled terrorism, but Vegas was not since he was white. I told her that so far, unless something turns up, we have not found any political or religious aims, and therefore it cannot be viewed as a terrorist incident because the definition of terrorism states violence in the pursuit of political aim (((anti-fa))). At that point, she claimed multiple times the dictionary was wrong and that she knew more than it.